Super Hero Boy: Reading is easy when you combine it with play! Reading is easy when you combine it with play! I think almost every adult has memories of putting on performances for their parents. I remember planning these elaborate plays to put on with my cousin to put on for our grandparents. I honestly can not even remember what they were about but I remember the planning process and writing our scripts. So when I saw the Now I'm Reading! Plays offered by innovativeKIDS I knew they would be a fun activity for me and Connor! Now I'm Reading! Plays come in two levels the Three Little Pigs for beginner readers and Cinderella for slightly more advanced readers. Each set comes with four paper masks and five script books so you can have four actors and a director for each play. As well you get a storybook to practice reading and to enjoy the story without having to put on a play. The whole set is packaged in its own little carrying case which makes it perfect for taking to Grandma's or friend's houses. 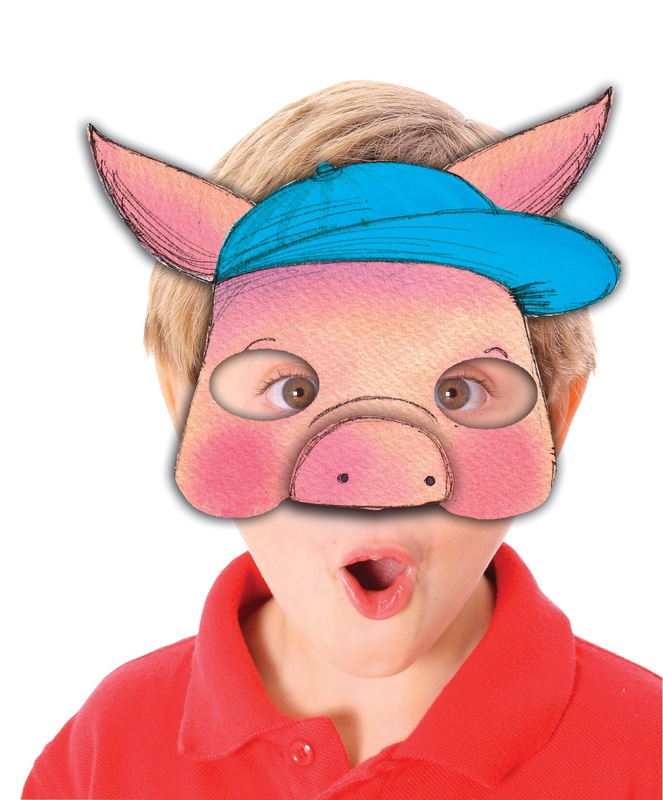 Connor is still learning to read but he really enjoys wearing the masks and acting out the scripts as I read them. We also act out the story as we read it and he especially loves it if I hold the masks up to my face as I read the story as well. The book and the scripts are very easy to read and I especially love on the scripts that there is a picture of each character before that character's line. It makes it very easy even for younger children to know which part is theirs. Check out the full selection of innovativeKIDS products on their website. They offer tons of fun toys and really cute books all geared towards growing young minds! 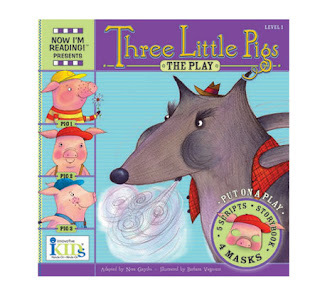 Disclosure: We were given a copy of Three Little Pigs free of charge, we were not compensated for this post in any other way. My opinions and comments on items we review are always my own and are never influenced by sponsors.